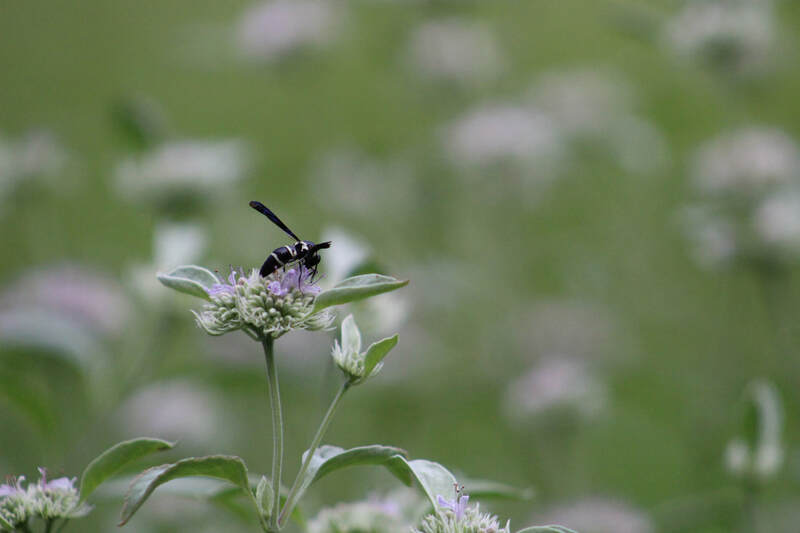 If you're wanting a plant that is constantly humming with pollinator life, Hoary Mountain Mint is the plant for you! 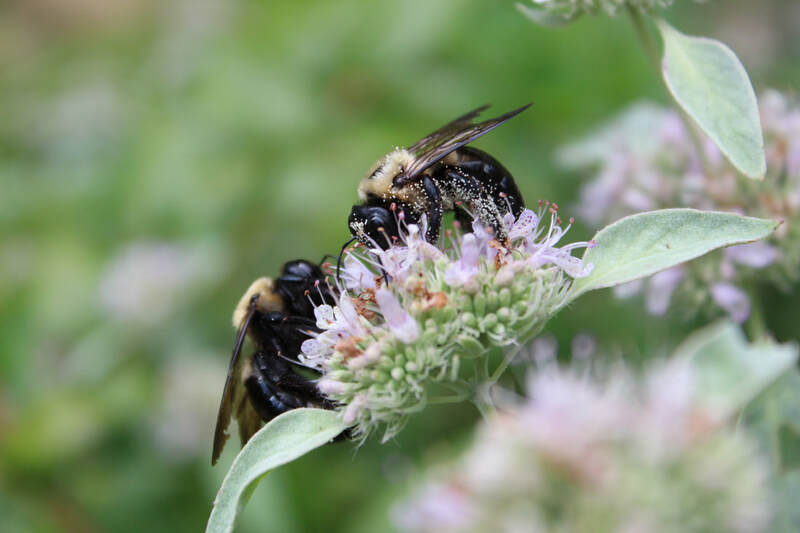 Its white to purplish flowers have so many insects on them! 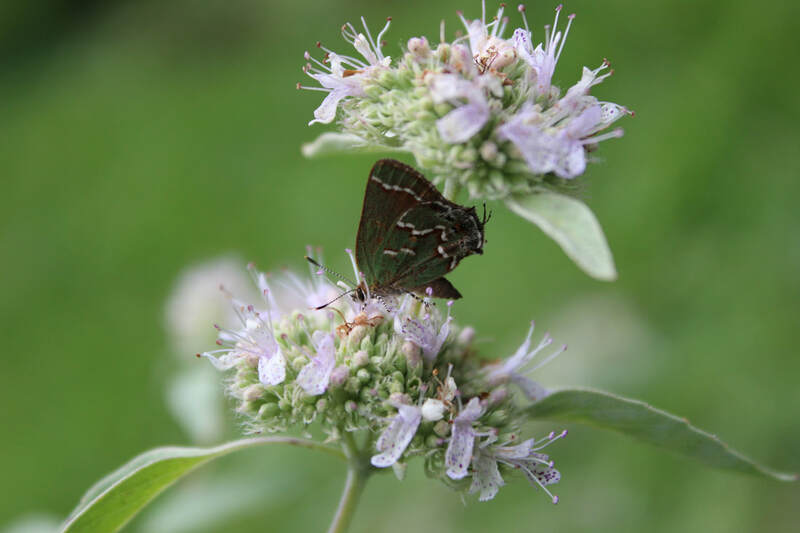 Hoary Mountain Mint has pretty silvery leaves and does well in dry areas. A personal favorite.